As a featured exhibitor at the American Institute of Architects’ AIA Expo 2016, LG Electronics USA showcased how new, upgraded HVAC software, systems and controls are providing architects, engineers and contractors increased versatility for commercial and residential projects. 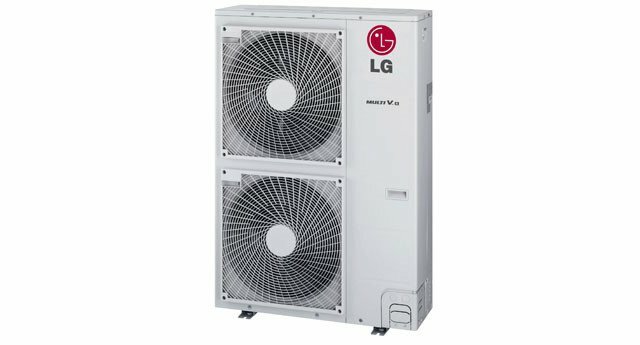 LG, a leader in variable refrigerant flow (VRF) technology and comfort solutions, spotlighted innovative ways to create seamless connections between installed products, and helping engineers, contractors and architects create efficient, user-friendly systems, according to a release from the company. Attendees visiting LG’s booth were able to interact with the company’s latest air conditioning products, software and controls while learning how the technologies can be integrated into a host of applications. LG’s remote temperature button sensor is an innovative and flexible solution for home and business owners who want the freedom to deliver personal comfort without sacrificing beautiful design in any room. The temperature sensor provides fast and accurate temperature readings suspended in a tiny round enclosure that can be painted with typical interior wall paint, providing an aesthetically pleasing temperature measuring option. About the size of a quarter, the sensor measures less than an inch in diameter and requires minimal installation – requiring a 7/16-inch hole at its mounting location and is easily secured to the wall using a provided adhesive. LG introduced the Multi V S, the next generation of the popular Multi V Mini-series that is compact, efficient and can support up to nine individual indoor units. The Multi V S provides cooling or heating zoning capabilities and allows for individual control of room temperatures. The system uses single-phase power so it can be used in a wide range of building types, offering overall increased flexibility and efficiency. The Multi V S requires little or no ductwork, resulting in smaller space requirements for piping that preserves the integrity of the exterior of buildings. The system is compatible with LG’s Art Cool Mirror, Art Cool Gallery, as well as several other LG ducted and non-ducted indoor unit styles. Also featured at AIA Expo were two new ceiling cassette grilles. The four-way black ceiling cassette comes in a 3-foot by 3-foot configuration with a new, aesthetically-pleasing black color that can easily fit into any space and blend into any commercial ceiling environment. Also featured was a new true 2-foot by 2-foot four-way ceiling cassette grille designed to fit into a standard 2-square-foot ceiling grid. The LG Air Conditioner Technical Solutions Computer-Aided Drafting (LATS CAD 2) software is fully integrated, industry-changing design software that arms engineers with a more efficient platform to design commercial VRF systems – and reduces design time by up to 80 percent. LATS CAD 2 operates as a seamless extension of AutoCAD, an industry-standard building design program. By eliminating transitional errors between previously incompatible programs, AutoCAD and LATS CAD 2 maintain building design integrity between programs, creating a more fluid and accurate design process that result in time efficiencies and cost-savings. LG’s AC Smart IV BACnet Gateway combines a full-featured user interface with the open BACnet protocol for integration between the LG air conditioning unit and various building automation systems. The LG Smart IV BACnet Gateway can be accessed from the web, a user-friendly 10.2-inch LCD touchscreen or through the BAS. The integrated central control and gateway is ideal for office buildings, schools and other commercial applications, making monitoring and controlling an HVAC system simple. By combining the BACnet Gateway with LG’s AC Smart IV controller, the product provides multiple ways to access and control air conditioning systems.